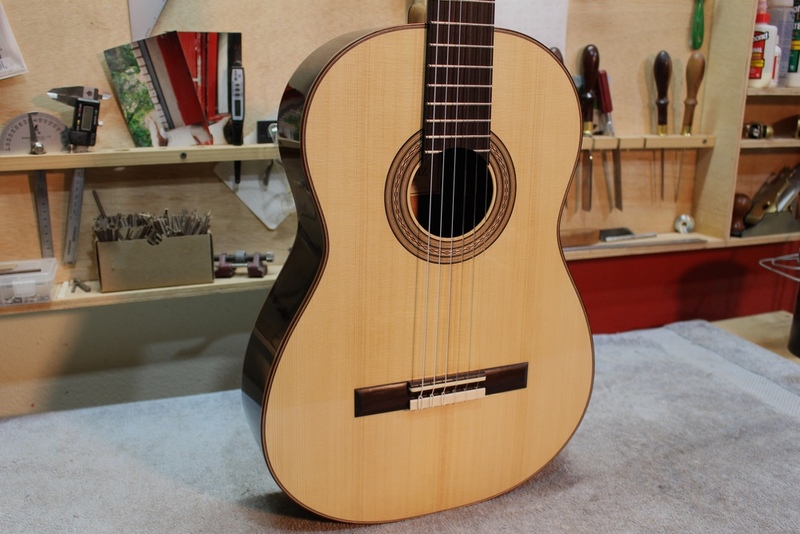 Strung up the newest Torres model a couple of days ago and I'm very happy with how it turned out. 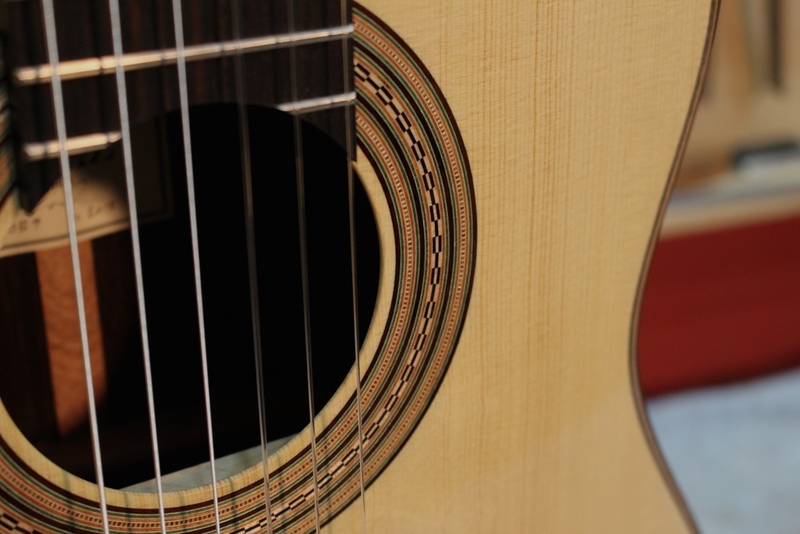 Deep resonant basses, lively trebles and an alluring traditional Spanish character. 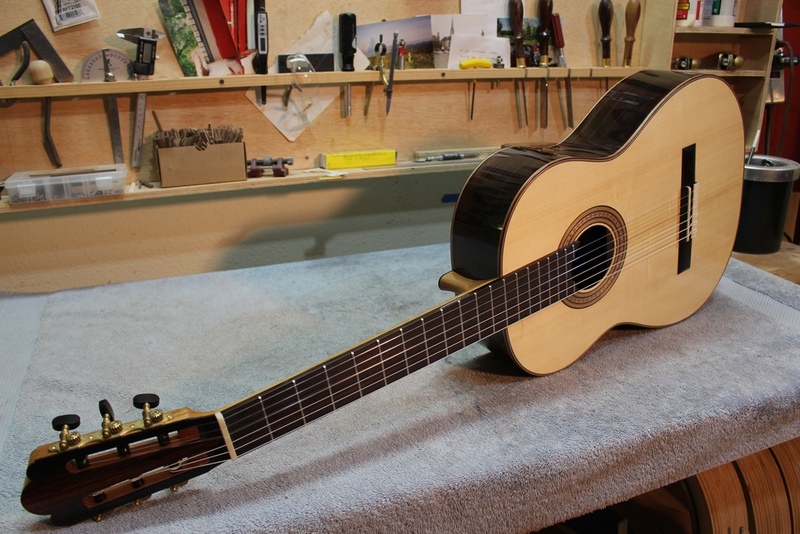 Hot on its heels and ready for French polishing is the latest concert model. 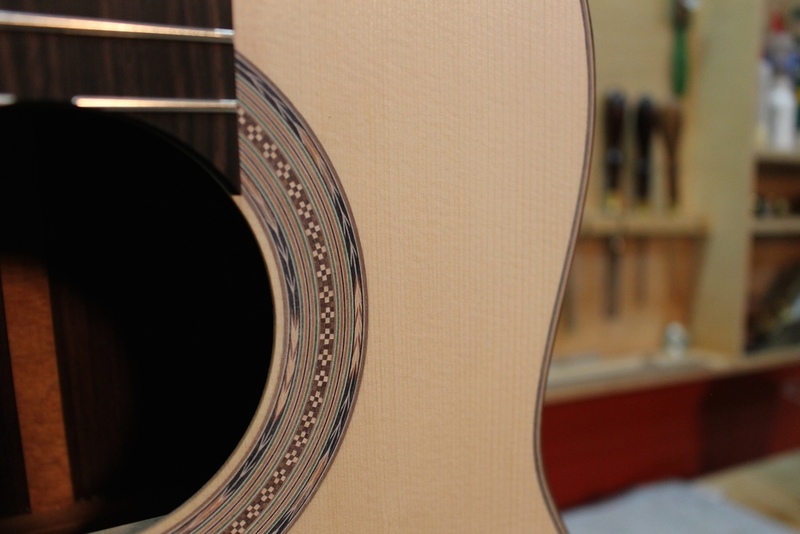 European spruce, Indian rosewood back and sides and Macassar ebony fingerboard.